Sometimes it can feel like there are far too many statistics in baseball. On the other hand, a case still be made that there aren’t enough stats. Despite all the numbers and acronyms, there aren’t enough stats that adequately explain things. For example, won-lost records, unless they are extreme (22-6 or 4-17) convey very little about a pitcher’s performance. That is why the concept of the “quality start” was created. A quality start is when the starter has at least six innings pitched allowing three earned runs or less. The stat was well intentioned, but the problem is obvious: in this day and age, the pitcher who gives up three runs in six innings has an ERA of 4.50 and we all know that doesn’t signify “quality.” Also, the pitcher who throws eight innings and allows four runs has a 4.50 ERA as well, but he is not credited with a QS. The ultra quality start is awarded when a pitcher throws at least seven innings and allows two earned runs or less. The ERA for a pitcher who has pitched seven innings and allowed just a pair of earned runs is 2.57, which probably should have been the metric for a quality start. I then felt, if we have two tiers for excellence in pitching, we should have two tiers to define the absence of meritorious service in a start. I call a game when a pitcher throws no more than 5.2 innings and allows 3+ earned runs, a lack of quality start (LQS). A pitcher who permits three earned runs in 5 2/3 IP has an ERA of 5.19. That certainly bears no resemblance to quality in this age of reduced hitting. Then there is the bottom rung. I “calls like I sees it” and a game when a pitcher throws no more than 4.2 innings and allows 4-plus earned runs is a bad start (an aptly abbreviated BS). When a pitcher who permits four earned runs in 4.2 IP and has an ERA of 8.57, that’s BS. The Padres pitching staff leads the majors with 24 quality starts, followed by 23 by the Nationals. The American League leaders are the Angels with 22. The Sox staff has 17, 17th in baseball. Zack Greinke leads the majors with eight QS. The Red Sox have 17 Quality Starts, with a team record of 10-7 in those games. The Tigers and the Reds lead the majors with 12 ultra quality starts. The Sox staff has five, tied with the Royals (with their bullpen, they don’t worry about starters going deep) for 26th in the majors. Max Scherzer, leads the majors with six UQS. The Red Sox have five Ultra Quality Starts, with a team record of 4-1 in those games. The Blue Jays lead the majors with 16 lack of quality starts. The Sox are in a pack of five teams tied for fourth with 12 LQS each. 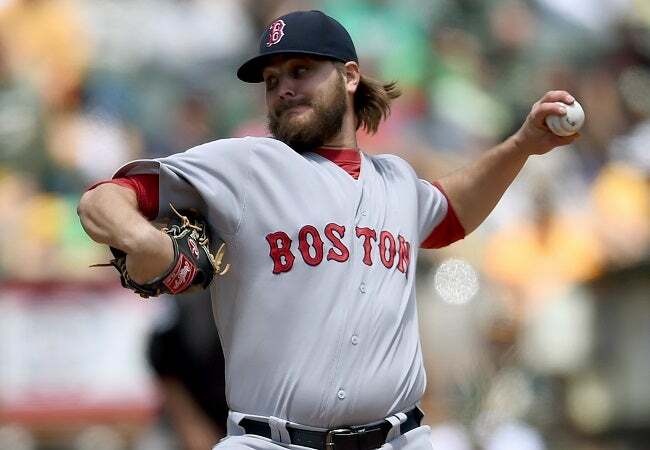 Drew Pomeranz, Travis Wood, Ross Detwiler and Jeremy Hellickson lead the majors with five LQS. The Red Sox have 12 Lack of Quality Starts, with a team record of 2-10 in those games. The Blue Jays and the Red Sox lead the majors with eight each. Drew Hutchison leads the majors with four BS. The Red Sox have eight Bad Starts, with a team record of 1-7 in those games. Now you have more stats to complain about. While you may not like the results, you have to admit that they are significantly more instructive than W-L records.